Enjoy the only event if its kind. The Charge Station™ is the place to be to make meaningful connections with empowering individuals while having fun! We change the theme for each event to keep you engaged and excited for the next. while you mix and mingle with amazing people you will discover new ways to leverage your internal GPS through LIVE sessions and interactive techniques. This will leave you with a roadmap for accomplishing your goals for 2019. ⚡️STAY TUNED FOR SPECIAL ANNOUNCEMENTS! ​​Join the movement and become the happiest person you know. Be inspired to go higher at our one of kind motivational happy hour events. 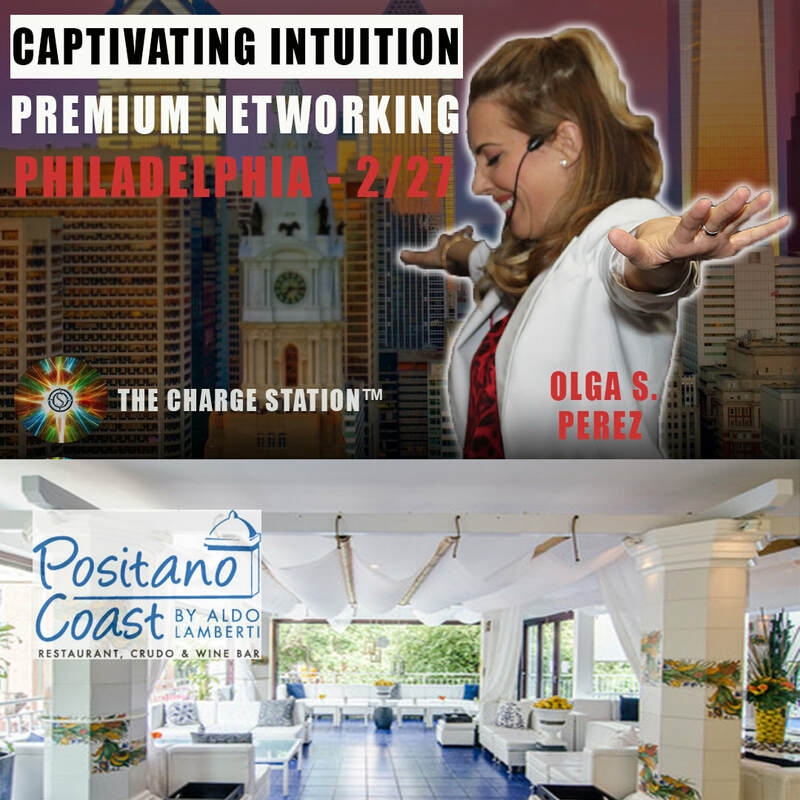 Meet Olga S. Pérez, CEO and Founder of The Charge Station™ Power Network. Learn how happiness equals productivity and join a community that will change your life forever. Become a stronger, more resourceful and more powerful person at The Charge Station™. ​what we have in store for you leading up to the event date.